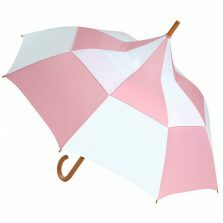 This unique Umbrella Heaven design is also available in a striking pink and white design for lady golfers. Slightly smaller, perfect for a “his and hers” combination. Click here for details. 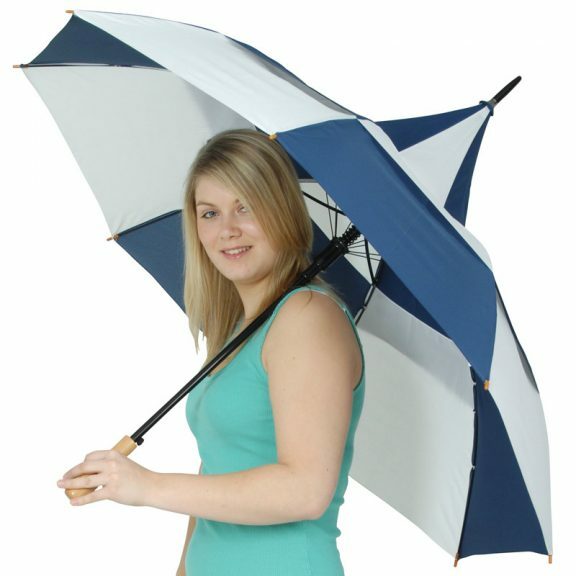 Big Top Umbrella – Blue and White Windproof Golf Umbrella. This windproof golf umbrella is a little different from the conventional golfing umbrella! But it’s not just about the Big Top’s distinctive new shape. It’s also about what’s on the inside that counts. This particular umbrella has the unique Umbrella Heaven built in “Double-Dome” wind resilience technology. 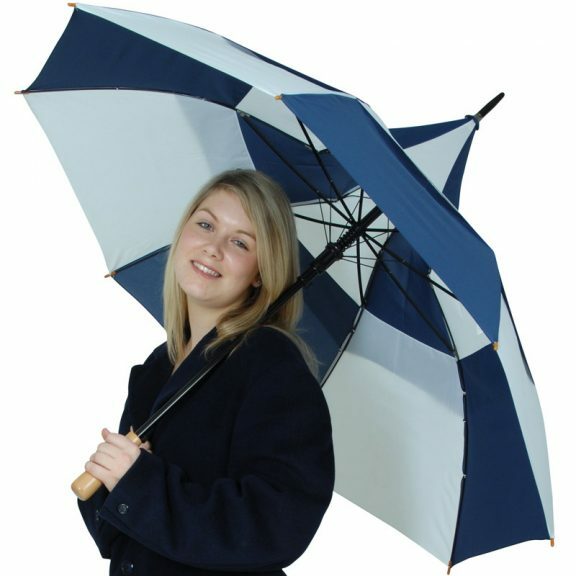 This eye catching navy blue and white vented windproof golf umbrella has an automatic opening system. It’s not only vented but also double spoked to provide improved resistance to the wind. It comes with a straight wooden handle, matching brown spoke tips and is finished off with a stylish black spike. 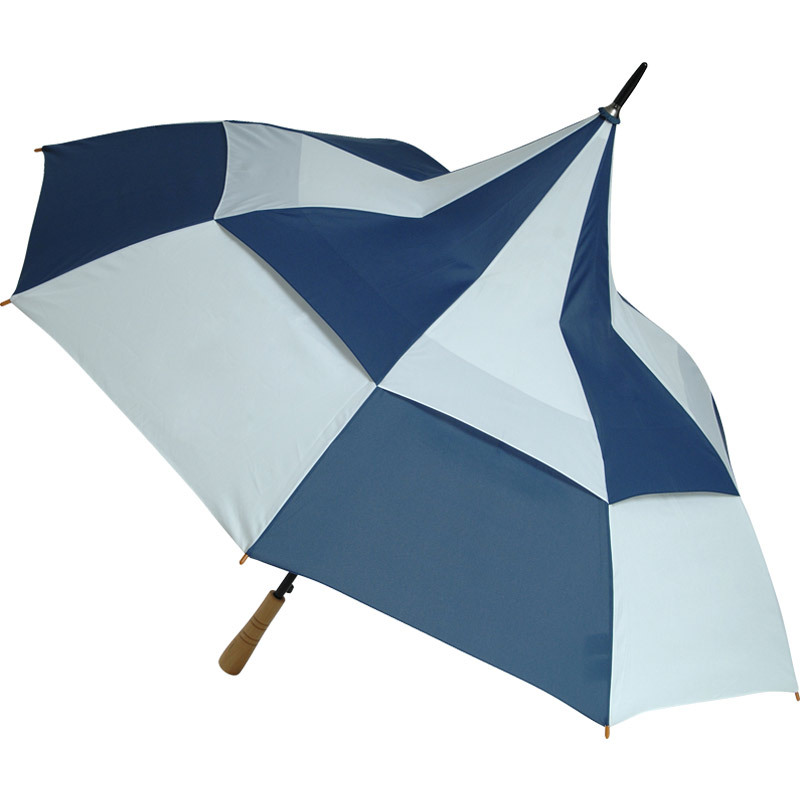 These distinctive pagoda shaped vented windproof golf umbrellas have a generous canopy span of about 121 cm (47.5″). They will afford you ample protection from the elements and come with a push button auto-open mechanism. They are also a good length at approx. 105 cm (41.5″). 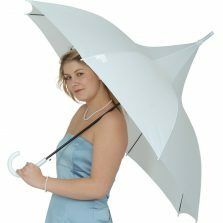 You will definitely be spotted from the 19th hole when using one of these British designed, brilliant brollies (how’s that for alliteration!) out on the course. 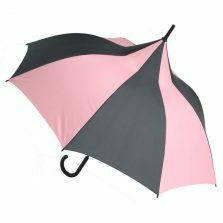 Windproof golf umbrellas that stand out in the crowd! 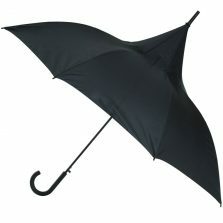 A good golf umbrella will keep you and your clubs dry when you are out on the course on a rainy day. So, it’s wise to choose one that is up for the job. First of all it needs to have a canopy large enough to cover both you and your clubs. No one wants a soggy driver! Then if possible it needs to be able to slot into the umbrella holder on your trolley or golf bag if you have one. It needs to be able to stand up to anything the weather may throw at you while you are playing your 18 holes. Weather can change dramatically from the first hole to the last and you need an umbrella that will keep you dry and also stand up to the wind out in the open spaces. This particular windproof umbrella will do all of the above – so choose wisely – choose a Big Top Windproof golf umbrella. Click to see some more of our large range of golf umbrellas! Brilliant umbrella, big enough for 2 and the shape is perfect. This is the second one we bought as we lost the first one, and had to replace it.